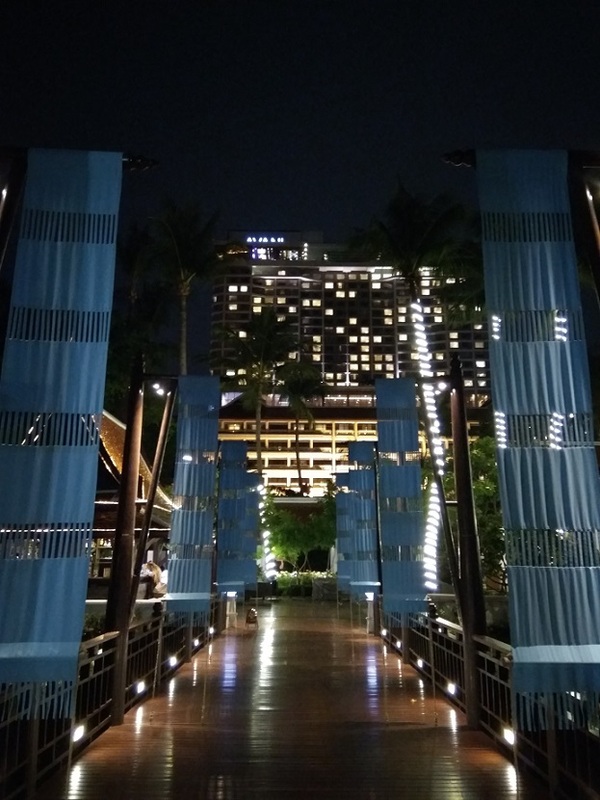 A short 15 minutes scheduled boat ride from Saphan Taksin Skytrain station at Sathorn Pier, we arrived to the latest addition first purposed designed AVANI Riverside hotel in Bangkok by the AVANI Hotels & Resorts vibrant upscale brand from Minor Hotels. This modern and vivacious new add-on hotel to the City of Angels is set against the bustling backdrop of the Chao Phraya River. mylifestylenews writes. Morning flight’s arrival is always a challenge especially when you require an early check-in. Our check-in was done on the 10th floor where the building itself is also with an adjacent mall to the back of the hotel. The spacious open plan designs with an ambience that offers a feeling of cool and cozy comfort blends reception, the Skylike all-day-dining, Long Bar slash Lounge as well as the PANTRY AT AVANI – a designer deli with gourmet pastry freshly made daily and a meeting facility that caters for different needs. A reasonable 20 minutes wait took place to complete our check-in process and to get our room keys despite a confirmed reservation was agreed on weeks before arrival. 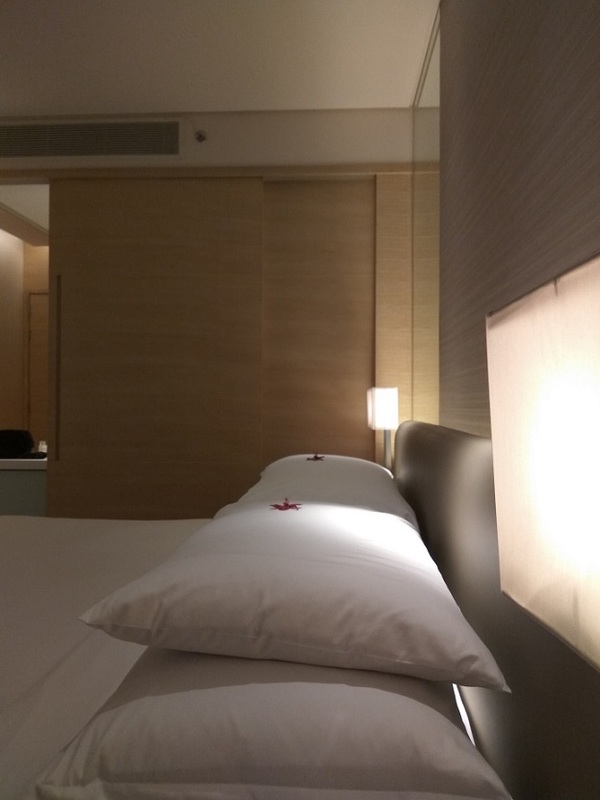 All of the hotel’s 248 stylish guest rooms and suites have a neutral décor that blends comfort and modernity. Our AVANI River View Room rises above the banks of Bangkok’s picturesque Chao Phraya and offers a smooth blend of contemporary style, with minimalist motif, modern and warm and uninterrupted river and city views to gaze on. This 30sqm room has a rather unique design of sliding doors that divide the bathroom room and the bedroom. Such slick design may appeal to some and yet once the door is shut, it creates a claustrophobic impression within. It would be more considerate if the design of the glass shower door can be pushed out easier without moving the floor mat by stretching your feet out as well as a bigger built-in luggage stand to open a standard traveling size suitcase. The water tap design was too close to the shallow and oval basin, forcing the water to splash out immensely to the mirror with a mess, even though the tap was not turn on to high pressure. Reaching new heights, the iconic rooftop infinity swimming pool is no doubt the hotel’s signature element to facilitate the most instagramers to generate more likes from the younger crowds which has become one of its major focus clientele. Rising 26 stories above the River of King’s, sun lounges are limited due to its space allocated to ATTITUDE rooftop bar and indoor-outdoor dining with sunken lounge where even outside diners flock in to this chic décor sky bar dining from dusk till late. The minimalistic alfresco bar décor with white modern wicker furniture design accentuates the expansive panoramic views of Bangkok city as well as the most frequented Asiatique – Bangkok’s largest night market and entertainment area looking back from the other side of the river. A huge amount of Korean and Asian guests set their anchor by the pool during the day right after breakfast and late afternoon to enjoy one of the best roof top sunsets by the pool in the city. Breakfast serves on the 10th floor at Skyline, this all-day-dining restaurant is busy especially during peak hours. Getting a seat can be challenging, late comers may be directed to the Long Bar where certain sections are allocated for breakfast set up extension across the lobby. Adolescent wait staff and demi-chef at cooking station are quite chaotic when delivering the service, so a better supervision and training could possibly help to improve the inconvenience with the service order. “Honest Food” gastro concepts are served here with hydroponic vegetables and fruits growing on site as well as local supplies of sustainable meat and seafood. From international pastry to local specialties, Skyline strikes to offer a wide range of selection from its buffet selection and cater for all needs as well as to reflect its epicurean hallmark. The driving ethos is modernity, offering a chic yet relaxed comfort in the city, thus AVANI Riverside targets those who appreciate stylish design with great value. Purple is the theme color and can be seen everywhere from the lobby, public area to the room, adding a modern warm touch to its energetic image. If a holiday is just a break from your daily routine, a smart yet cozy home-feel minimalist interior is the ticket. This creates a more calming domestic environmental effect for a city weekend staycation, so to convince yourself to escape from the headache schedule at AVANI Riverside is not a bad idea.Visually, it wins your heart for the less is more ideas concept and it is imbued in a deeper level of inspiration, of course only for those who know.